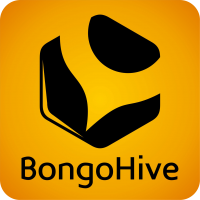 Africa gathering in collaboration with Bongo Hive Zambia present the Apps4africa 2012 Competition. The Apps4Africa 2012 Competition brings together civil society, academia, and the private sector to support African technology innovators in creating solutions that promote economic opportunity and entrepreneurship in Africa. A series of brainstorming sessions openly debate and identify the business challenges facing the youth, entrepreneurs and technologists. The innovators of the best solutions to address these problems will receive prizes, mentorship and seed capital to help them start and nurture their businesses. Ambitious technologists, developers, entrepreneurs, businesses, startups and NGOs that support technology projects. We are looking for the next tech CEO in Zambia. Are you ready for the challenge? Don’t miss it! Sign up Now!! 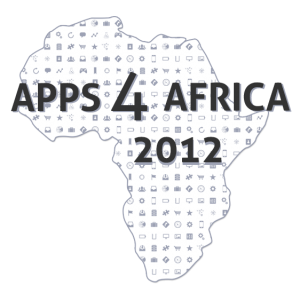 Apps4Africa 2012: Business Challenge was launched at DEMO Africa on October 25-26, 2012 in Kenya- Nairobi, and the Apps4Africa brainstorming sessions will be held in Africa starting with Uganda, Zimbabwe, Democratic Republic of Congo, Nigeria, Ghana, Zambia and Senegal. Apps4Africa 2012 competition partners include TED, The Unreasonable Institute, iHub, IDEO, and LIONS@AFRICA, a public-private alliance led by the U.S. Department of State’s Office of Global Partnership that fosters public-private partnerships to promote technology and innovation in Africa. Appfrica International has renewed its partnership with Senegalese Born Marieme Jamme, CEO of Spotone Global Solutions to bring again engaged, localized and energized brainstorming sessions across Africa. “The Apps4Africa competition gives a voice to the voiceless: it gives the microphone to local people, the people at the bottom to discuss local issues that matter to them. Across Africa, from Accra to Kinshasa, the Apps4Africa competitions have changed people’s lives; people felt listened to, engaged, and part of the competition fully. We are proud to be part of this year’s competition and to go again across Africa to engage technologists, businesses, entrepreneurs and developers to find local solutions and reward them for their work and innovation. I want to find as many young CEO’s in Africa as I can, to move them from coders to CEO’s” Marieme Jamme- Cordinator of Events in Africa.